What should you do if your Home Equity Line of Credit (HELOC) lender freezes or reduces your credit line here are 5 tips from a Federal Reserve article. A Home Equity Line of Credit Freeze or Credit Line Reduction can happen to anyone. Home price declines or a change in your financial situation can trigger a credit line freeze or reduction. This brief article compiled from a Federal Reserve document gives you some tips for dealing with a HELOC reduction or freeze. The main issue is don’t panic. 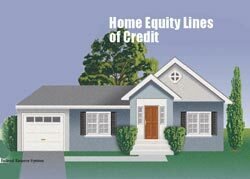 The lender is required to send you a notice when your Home Equity Line of Credit is frozen or reduced. Read the notice carefully and contact the lender immediately with your questions or concerns.